Running an online store or a company website is not a small feat. You have to spend time, money, and effort. To make things simpler, the best way to go is to subscribe to fully managed hosting services. There have been a lot of businesses both big and small that got into a lot of trouble all because of server issues. Now the best thing to avoid server problems is to get the services of a managed server hosting company. In managed hosting, this means that the hosting company of your choice will take care of all the issues that have something to do with the server. Aside from renting the hardware from the host, you also pay them for managing it for you. In unmanaged hosting, what you do is rent the server and the rest is up to you. All the services and maintenance tasks are your responsibility. These are addressed even before they get worse. The system admins should have an eye for detail when monitoring servers. This will guarantee the uptime of a server as well at the network availability. Higher uptime means more visitors are able to visit your website. While you can manage your own server, you need to have the necessary skill sets and resources. Hosting providers have the necessary tools and experience to deal with various securities related issues so that the server is not easily attacked. This is similar to managed storage only that you need the skills of a database administrator that can be provided by the hosting company. This database is the software that is designed to meet your needs and requirements. There are database administrators that are experienced in the fields of SQL so you can find what you are looking for. Lost data in a business is a big headache. It is very important to back up regularly. 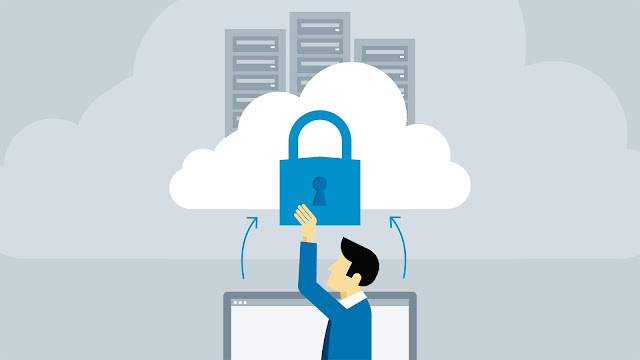 With managed services, you can have peace of mind that your data is secure and backed up. What are the business benefits of managed hosting? Every business requires a different thing. What works for one does not mean it will work for the other. There no one-size-fits-all approach here. In managed hosting, you can customize the services the way you want it for your business. A small business owner already has a lot of overhead expenses. Adding another in-house IT professional and database administrator can be heavy on the pockets. It is more feasible to hire a hosting company that already has people to manage server related issues. Time is gold. If you are spending time managing servers or troubleshooting them, your time becomes less productive. The time spent managing your system can be better off spent on developing and improving your business. With these advantages of managed hosting, you can now decide if this is suitable for your business. What managed hosting is offering is a convenient. Why Is Java Hosting More Expensive Than Traditional Hosting? Now more than ever, having a fast and reliable website is essential to your brand’s image. But for the budget-conscious developers, the added price of Java Hosting inevitably raises a red flag, leaving many to wonder why Java hosting is expensive. While the Java language was developed in 1995, its popularity has only continued to thrive in recent years. To help you understand why Javas hosting is expensive compared to traditional hosting options, we’ve outlined its many advantages below. What Is Java and Java Hosting? Java is a type of programming language that allows users to create dynamic web pages and content. If you’re just starting to learn code, Java is an excellent choice as it is considered one of the easiest coding languages and it is supported by a long-standing open-source community. Java hosting plans place the Java programming language at their core, making it easy for website builders to scale their site using things like Servlets, Java Server Pages (JSP), and more. When compared to traditional hosting, java hosting is expensive. But when you take into account the many advantages of this type of hosting, the added cost may well be worth the investment. 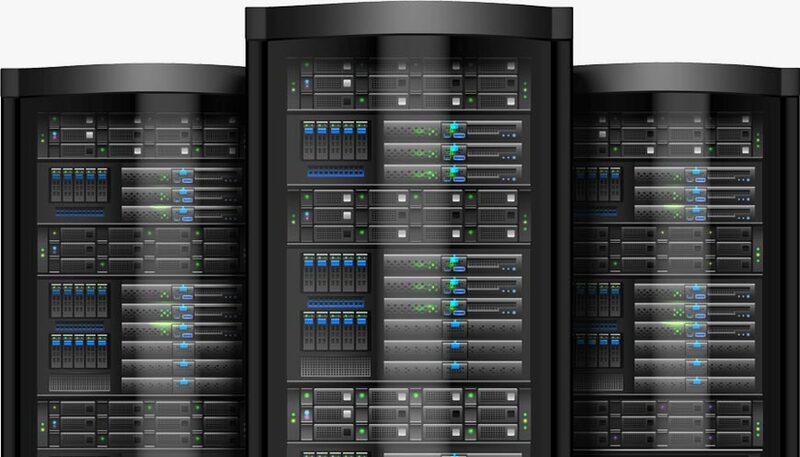 Dedicated Hosting: The most common traditional hosting methods include dedicated and shared server plans. With dedicated hosting, users pay to host their website on a specific server hardware and have full control of that server’s resources. The problem with this type of hosting plan is that if the server has a technical failure, your website could be down until the issue is resolved. In addition, dedicated hosting is usually quite expensive and requires advanced management experience. Shared Hosting: Another type of traditional hosting is shared hosting. Shared hosting allows users to rent space and resources from a server that is shared with many other website account holders. This type of hosting is much cheaper than dedicated hosting, making it an attractive choice for small and medium-sized businesses. However, shared hosting has its own share of complications. For starters, because resources have to be shared by many websites, slow loading speeds and downtime are not uncommon. In addition, if there is a technical problem with the device itself, then all websites hosted on this server could be affected. There are also security concerns and several other limitations to shared hosting that make it difficult to scale your website if you have an influx of traffic. Java Cloud Hosting: While cloud hosting may sound ominous, it is actually the most innovative and reliable hosting option on the market. With this type of hosting, your website is not tied to a single server, but rather pulls resources and stores information across multiple devices. This means that if a specific server experiences a technical error, your website won’t suffer downtimes or information loss as other servers are able to balance the load. If you’re a fan of the saying “don’t put all your eggs in one basket”, chances are cloud hosting is for you. 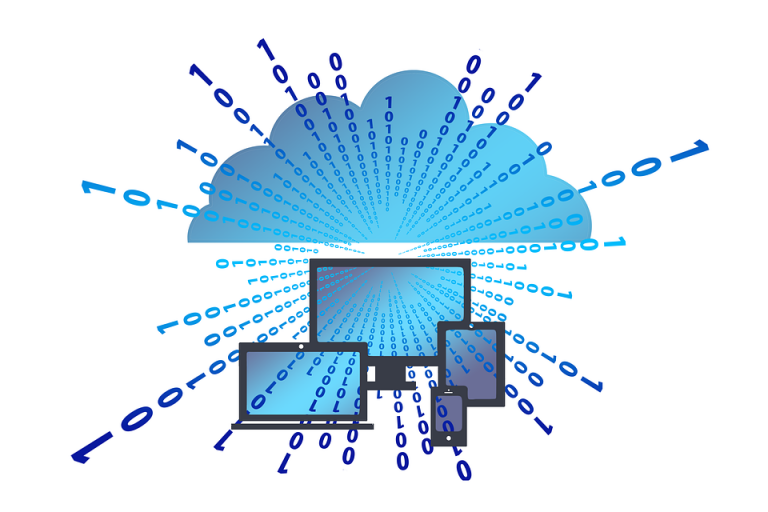 Cloud hosting is characterized by redundancy, meaning that information and apps are mirrored across multiple server clusters. This makes cloud hosting a much more resilient and flexible platform. While traditional hosting requires you to buy additional RAM, storage space, etc. as needed, and is limited by the resource availability of the server, cloud hosting makes it easy to scale your website and adjust for influxes and decreases in traffic. However, because Java code has to run in a JVM (Java virtual machine), a lot more RAM is consumed compared to traditional hosting—something that can add up to costly fees overtime. Overall, Java hosting combines the resilience of cloud storage with Java framework to simplify programming and support optimal performance. Focus on Java language: A focus on Java language is fundamental to Java hosting, making it the clear choice for programmers who prefer to code in Java. Java is one of the most popular programming languages that allows website developers to create highly professional and dynamic interfaces with a minimal time and money investment. In addition, the many Java-centric services and applications that Java Hosting plans offer, far exceed the minimal Java support offered by other hosting options. JSP Support and Servlet Container: With platforms like Tomcat Java Hosting, website developers can easily create Java Server Pages and Servlets with dynamic content that can help generate leads and grab visitor attention. Easy Scalability and Redundancy with Java Cloud Hosting: Cloud hosting makes it easier than ever to scale your website and pay for server resources on an as-needed basis. This is especially beneficial for small and medium-size businesses who may experience sudden influxes in traffic as their website grows. With traditional hosting, website’s that experience sudden spikes in traffic often experience crashes and downtime as their RAM and bandwidth runs out. Not to mention, with cloud service’s redundancy developers can rest assured that their hosting is optimized for maximum performance and reliability. Linux Compatibility: Hosting a website with a Linux OS can be tricky on a traditional hosting plan, but with Java Hosting compatibility launching and managing your website is a breeze. Despite Java’s many advantages over traditional hosting, there’s no denying it’s more expensive. Some will tell you the added cost is simply due to the superior service (aka you get what you pay for). However, those who are experienced with Java hosting, know that the added costs really boils down to one thing—RAM. One of the drawbacks of Java code, is that it has to run in a JVM (Java virtual machine), which is a process that consumes a high amount of RAM. While it is easy to scale your website by purchasing additional RAM as needed with Java hosting, you will find that you burn through it much faster than with traditional PHP hosting plans. In a nutshell—with great power comes great RAM, and an added price tag. Is Java Hosting Worth the Investment? For those who have written their website using Java, the decision is clear, as Java hosting offers specialized solutions that far exceed the basic support that other plans have to offer. However, even if you’re new to the development scene, this hosting type’s focus on the Java language offers many advantages—especially in terms of scalability and manageability. Though java hosting is more expensive than traditional hosting, it is an investment in the future of your website and brand. Though it’s true that Java hosting is more expensive due to the added RAM consumption, many agree that the benefits outweigh the added cost. If you’re ready to invest in Java web hosting, then you need a management solution that will ensure you get the most bang for your buck. We specialize in powerful java hosting solutions at a fraction of the cost of our competitors. We take Java to cloud 9, giving our customers the security of full redundancy. Not to mention, our servers are housed in multiple premium geolocations, including New York, San Fransisco, and Amsterdam to help your website get the lightning-fast speed it deserves. 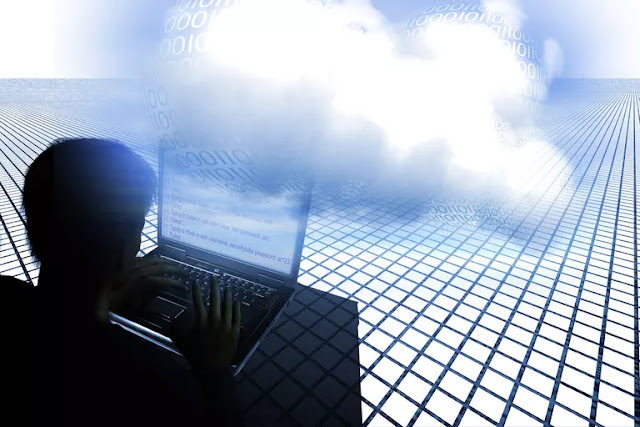 The cloud is commonly used to refer to several servers connected to the internet that can be leased as part of a software or application service. Cloud-based services can include web hosting, data hosting and sharing, and software or application use. ‘The cloud’ can also refer to cloud computing, where several servers are linked together to share the load. This means that instead of using one single powerful machine, complex processes can be distributed across multiple smaller computers. One of the advantages of cloud storage is that there are many distributed resources acting as one – often called federated storage clouds. This makes the cloud very tolerant of faults, due to the distribution of data. Use of the cloud tends to reduce the creation of different versions of files, due to shared access to documents, files and data. What are the benefits of a cloud server? ◈ A cloud server gives the business user stability and security because any software problems are isolated from your environment. Other cloud servers won’t impact on your cloud server and vice versa. If another user overloads their cloud server, this will have no impact on your cloud server, unlike with physical servers. ◈ Cloud servers are stable, fast and secure. They avoid the hardware issues seen with physical servers, and they are likely to be the most stable option for businesses wanting to keep their IT budget down. ◈ Cloud servers provide a faster service for your money. You’ll get more resources and a faster service than you would for a similar price of physical server. A cloud-hosted website will run faster. ◈ You get scalability with cloud servers. It is very easy and quick to upgrade by adding memory and disk space, as well as being more affordable. ◈ We roll out projects on a planned, low risk basis. What are the benefits of using Cloud servers over another provider? ◈ Fully managed support so that you receive a no-hassle service from our dedicated team who are committed to customer satisfaction. Cost-effective solutions that will save your business money when compared with a physical server. DNS stands for Domain Name System, which is the largest digital database in the world, containing information about every web site on the internet. Every web site online has an IP address that is its actual internet location, and this number is used to locate the web site within the database. The data that tells the web server how to respond to your input is known as the DNS records, or zone files. 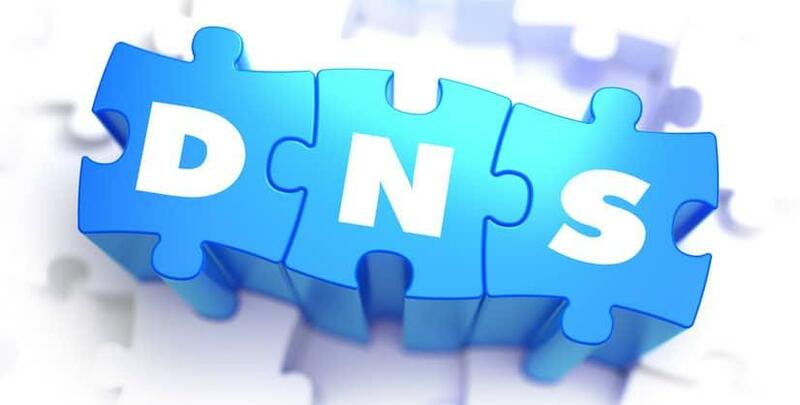 These records play a vital role in the functionality of the internet, and any aspiring internet technology expert should learn the following facts about DNS records and how they are used. DNS records are basically mapping files that tell the DNS server which IP address each domain is associated with, and how to handle requests sent to each domain. When someone visits a web site, a request is sent to the DNS server and then forwarded to the web server provided by a web hosting company, which contain the data contained on the site. Various strings of letters are used as commands that dictate the actions of the DNS server, and these strings of commands are called DNS syntax. Some DNS records syntax that are commonly used in nearly all DNS record configurations are A, AAAA, CNAME, MX, PTR, NS, SOA, SRV, TXT, and NAPTR. The following paragraph details the meaning and usage of each of these syntax. An “A” record, which stands for “address” is the most basic type of syntax used in DNS records, indicating the actual IP address of the domain. The “AAAA” record is an IPV6 address record that maps a hostname to a 128-bit Ipv6 address. Regular DNS addresses are mapped for 32-bit IPv4 addresses. The “CNAME” record stands for “canonical name” and serves to make one domain an alias of another domain. CNAME is often used to associate new subdomains with an existing domain's DNS records. The “MX” record stands for “mail exchange” and is basically a list of mail exchange servers that are to be used for the domain. The “PTR” record stands for “pointer record” and maps an Ipv4 address to the CNAME on the host. The “NS” record stands for “name server” and indicates which Name Server is authoritative for the domain. An “SOA” record stands for “State of Authority” and is easily one of the most essential DSN records because it stores important information like when the domain was last updated and much more. An “SRV” record stands for “service” and is used to define a TCP service on which the domain operates. A “TXT” record lets the administrator insert any text they'd like into the DNS record, and it is often used for denoting facts about the domain. There are a variety of computing workloads that support successful business operations. If we were to maximize resource usage for these workloads, we would end up with a vast assortment of computer chassis, hard drives, RAM chips, and a host of various other computer parts. And although this assortment would provide coverage for the current needs, it would not be able to keep up with business growth (or shrinkage), nor would it be economical to maintain. But that is where many on-premise businesses find themselves. A large collection of mish-mashed gear that was perfect when purchased, but has fallen behind in adequately covering business needs economically. Unfortunately, when many businesses turn to the cloud, they find that the over standardization of the market has left them with fewer options than their needs dictated and at a higher price tag. Private cloud was designed to address the needs of businesses finding themselves in these situations. Private cloud is the efficient methodology for defining workload space within a fixed cost environment. That being said, private cloud is not found within the public cloud business model. As many analysts and industry insiders have said before, private cloud is almost the antithesis of public cloud, for it shackles public cloud expansion by placing VMs in a much smaller fixed environment. In fact, some analysts have gone so far as rejecting the private cloud operations model completely. So why is it that many businesses are finding more success with private cloud than the public ones? Workload is a very generic industry term that means an independent collection of code, service (or app), or similarly packaged process. A defining factor in the definition, especially when looking at today’s infrastructure technologies, is the independent nature. Can I pick up this service, as is, off of the current server and run it on a different one? In a cloud environment, would I be able to move the service from one VM to the next? A few examples of computing workloads (be it cloud or otherwise) include batch, database, mobile application, backup, website, and analytic workloads. A batch workload, as an example, includes processing large volumes of data and can be run off hours at scheduled intervals. Batches include data reconciliations, audits, and system syncing. These workloads rely on predetermined scripts, access to the data, and a pool of compute and memory (whether that pool is fixed such as on a full server or dynamic such as in the cloud is irrelevant). As long as the originating system has access to the data or systems involved, those scripts can be picked up and moved to a new server. The reason that more businesses are finding success with private cloud is that private cloud is not the evolution of public cloud, it is the evolution of dedicated servers. Dedicated server environments increased in popularity as the need for root access, dedicated static IP addresses, and dedicated resource pools increased. In the early days of hosting, both root access and static IPs were firmly out of reach in a shared environment. The unfortunate consequence was those who had smaller workloads but required either a dedicated IP or root access had to move to a dedicated server. These scenarios helped push forward VPS and later Cloud. On the other end of the spectrum, many dedicated server users had multiple workloads they had to run, and many placed them on the same server. Although this would help both from a cost standpoint as well reducing complexity, it also increased the possibilities for performance issues (compute and storage bottlenecks) and security and business continuity problems. The fix to this was to purchase multiple servers, which would increase cost but would solve performance issues. Although Cloud was an answer to these problems, it wasn’t always the most economical even when compared to those who purchased multiple dedicated servers. Cloud pricing is based on overselling the hardware. If you took 10 VMs from any number of Cloud hosts and compared the price of those VMs to an equal measure of server hardware, you could purchase at a Dedicated Hosting outfit you would find that, without automated processes for spinning down and spinning up VMs, the pricing was greatly inflated with the Cloud host. Now if we apply what we learned from Cloud operations to the dedicated server world, we would find something remarkable. The ability to take your current server configuration and streamline it, so each workload receives the proper amount of resources is game-changing in the dedicated server world. It means consolidation of servers. It means incredible flexibility for provisioning resources for the right fit of the workload. It gives DevOps and Sysadmins the ability to automate provisioning across their servers based on a set of pre-determined criteria, and that is game-changing. With Dedicated Private Cloud, a user can take a dedicated server environment and cut it up into the appropriate VMs necessary to handle their current workloads. No need to pay for overhead or per VM licensing costs. Where as public cloud is amorphous with nigh-limitless resource pools, private cloud is more like slapping a perfectly formed organizer on your resources. Some companies need the ability to grow and shrink in seconds, or the lowered costs of operating a few cloud servers. Most companies, however just need a way to organize their workloads, providing each with the perfect balance of resources to keep the engine running at peak efficiency. New web hosting clients are often confused by the way the domain name system and the domain registration system work. More specifically, they’re confused that there is a difference between registering a domain name and actually linking it up with their site via a DNS hosting service. I’d like to take a look at the three services that work together to ensure that when a user puts a web address into their browser, the appropriate web site appears. Those three services are web hosting, the domain registration system, and DNS, the Domain Name System. 1. Web hosting provides the server your site lives on and the bandwidth that connects it to the outside world. The server has an IP address that other machines on the internet can use to communicate with it, much like a phone number. 2. 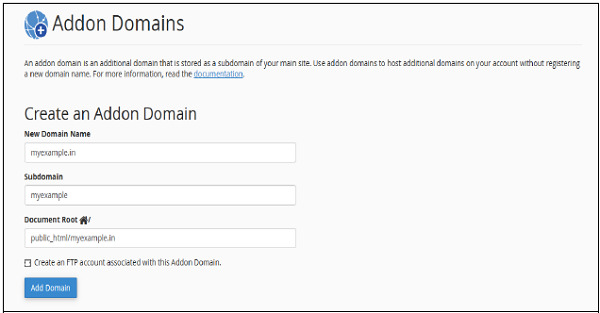 A domain name registrar allows you to reserve a domain name for use with your site. 3. The Domain Name Service(DNS) tells web browsers which IP address goes together with your domain name. This is the easiest one to explain. When you pay for web hosting, you are buying space on a server in a data center with a connection to the Internet. Your site’s files are stored on the server, and that server — or the network interface it’s connected to — has an IP address. An IP address is a set of numbers that routers, switches, and other servers use to find a particular server from the millions that constitute the internet. The “example” is your site’s domain, and the “.com” is a top-level domain. To be able to use a domain for your site, you have to register it with a domain name registrar. 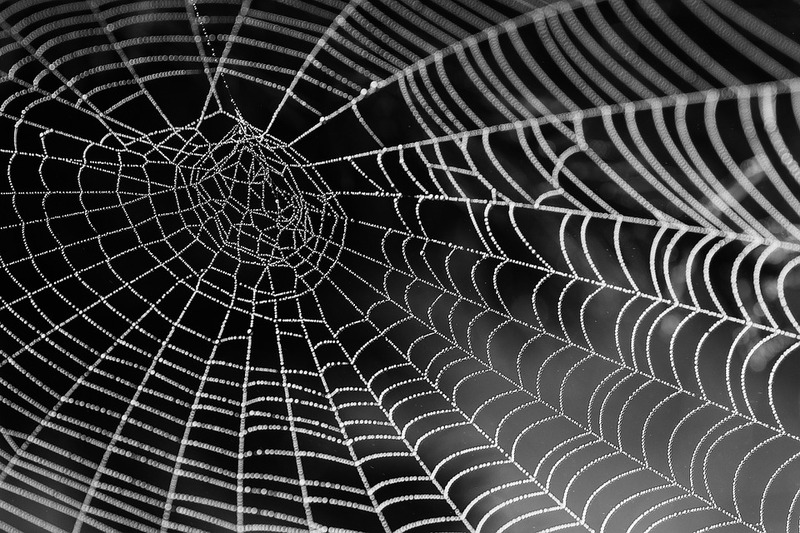 The names of sites on the web are handled by a set of organizations that manage registries — essentially big lists of who “owns” a particular domain. You don’t deal directly with registries; you deal with a registrar, which manages registration on behalf of the registries. That sounds confusing, but the details aren’t really important. You register a domain name, and you get control over the use of that name for period of time. At this point, you have web hosting and you have a domain name you can use. But something is missing — how do you connect the domain name to the server on which your site is stored? Domain name registries don’t do this. It’s the job of the Domain Name Service (DNS). When your domain name is entered into a browser, the browser asks a domain name server, probably your Internet Service Provider’s domain name server, if it knows which IP address is associated with that domain. If it knows, it will send that IP address to the browser. If it doesn’t know, it will ask a different DNS server for the information. DNS servers are arranged in a hierarchy. At the top of hierarchy are the root name servers. These know where to find the domain name servers that have authoritative information for top-level domains like “.com”. The root name server tells the ISP’s server where to find the DNS server that has information about “.com” addresses, including “example.com”. The DNS server for “.com” knows where to find the name server for your domain name — that is, the domain name server that knows the IP address of your website. At this point, the ISP’s DNS server knows the IP address of your site, and can send it to your browser. So, why do you need DNS hosting? Because that’s what provides the authoritative domain name servers that know the IP address of your site. When you link up your site with its domain name, you tell the domain registrar where to find the authoritative domain name server for your domain name and that information is propagated through the DNS hierarchy. How to use WHM Feature Manager? In this documentation, we can check how to manage features in your account. 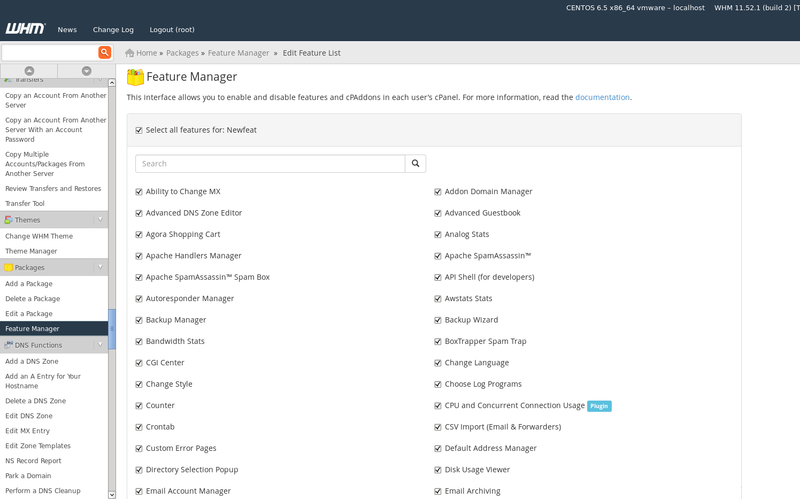 This option allows you to enable or disable icons in your cPanel account. 1 ) Login to WHM. 2 ) Navigate to Home >> Packages. 3 ) Click the icon ‘Feature Manager’. cPanel and WHM includes the following three predefined feature lists. Default – The system grants cPanel users access to these features by default. If you disable a feature from this list, the system will disable it in every user’s cPanel that uses that list. 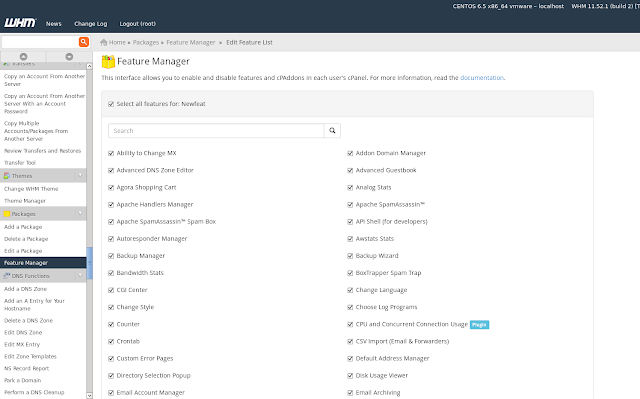 Disabled – cPanel users cannot access these features, and other lists cannot grant access to them. Mail Only – For cPanel users that can only access mail-related features, such as Email Archiving or SpamAssassin. 1 ) Enter new feature name in the section ‘Add new feature list’. 2 ) Click the button ‘Add Feature List’. 3 ) Then cPanel shows the list of available features. 4 ) We can select the features from this list and Click ‘Save’ button’ to update. 1 ) To edit the feature list, select the desired feature list from the option ‘Manage Feature List’ and click ‘Edit’ button. 2 ) You can select/deselect the checkboxes to enable or disable the features for the specified feature list. 3 ) Click ‘Save’ button to update the details. 1 ) To delete the feature list, select the desired feature list from the option ‘Manage Feature List’ and click ‘Delete’ button. 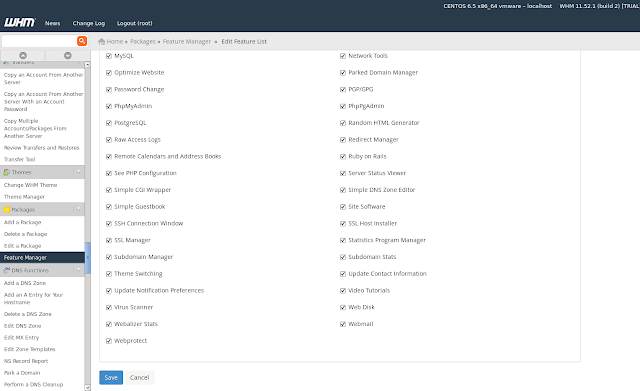 2 ) Then cPanel will delete specified feature list. That is how we can manage features in your account. Cloud storage is an industry term for managed data storage through hosted network (typically Internet-based) service. Several types of cloud storage systems have been developed supporting both personal and business uses. The most basic form of cloud storage allows users to upload individual files or folders from their personal computers to a central Internet server. This allows users to make backup copies of files in case their originals are lost. Users can also download their files from the cloud to other devices, and sometimes also enable remote access to the files for other people to share. These service work as an alternative to home network storage systems (such as Network Attached Storage (NAS) devices) or email archives. Businesses can utilize cloud storage systems as a commercially-supported remote backup solution. Either continuously or at regular intervals, software agents running inside the company network can securely transfer copies of files and database data to third-party cloud servers. Unlike personal data that is generally stored forever, enterprise data tends to quickly grow obsolete and backup systems include retention policies that purge useless data after time limits have passed. Larger companies can also use these systems to replicate large amounts of data between branch offices. Employees working at one site may create new files and have them automatically shared with colleagues in other sites (either locally or in other countries). Enterprise cloud storage systems typically include configurable policies for "pushing" or caching data efficiently across sites. Cloud networks that serve many customers tend to be expensive to build due to the scalability requirements for reliably handling large amounts of data. The decreasing cost-per-gigabyte of physical digital media storage has helped offset these costs somewhat. Data transfer rates and server hosting costs from an Internet data center provider (ISP) can also be substantial. Cloud storage networks tend to be technically complex due to their distributed nature. Disks must be specially configured for error recovery, and multiple geographically-distributed servers must typically be managed to cope with the high bandwidth requirements. Network security configuration aspects also require the expertise of professional who command relatively high salaries. ◈ Cost. Vendors charge fees for at least their more advanced service offerings. Service plans may be divided into tiers according to usage, with penalty fees charged if you exceed the specified quotas. So-called "free" services can place serious restrictions (quotas) on the amount of data which can be stored in or accessed from the cloud. Carefully consider your storage needs before locking into a subscription: Buy enough capacity and capability to support you and your organization, and try to avoid long-term contracts that can cause serious issues later when your needs grow. ◈ Usability. Cloud storage systems should make working with remote data almost as easy as data on your local hard drives. Test out carefully both the user interface (browser or separate application screens) and responsiveness (network latency ) of a vendor's system looking for major time-wasting usability limitations that sap your productivity. ◈ Reliability and Reputation. Even a free cloud storage service can be costly if it suffers from frequent downtimes, loses or corrupts data, or has had past security incidents. Research the service providers you are interested in for reputation and their brand quality before committing to one. Consider also using a vendor's trial subscription before committing to a long-term investment with them (and do not load any particularly sensitive data onto a service during trial periods). There is no doubt that cloud computing has revolutionized the world of information technology. Moving to the cloud is a choice that every business that is serious about scaling up must face. A critical step is understanding the right cloud computing model; for example- the difference between public cloud and private cloud. If the next step for your small business is to move your IT infrastructure to the cloud, this blog will explain the choices available to you and what they entail. First, what is a ‘Cloud’? Many businesses are still not quite sure what the ‘cloud’ is and how important it is for a modern business. ‘Clouds’ are virtualized data centres that are made available or shared to meet the dynamic demands of any business application that wishes to plug into it. As everything here is entirely virtualized, cloud computing can be more efficient and valuable in terms of cost than regular, physical data centers. What are common reasons that companies use the ‘Cloud’ for? In a ‘Public Cloud’ model, services are rented out by the Cloud provider over the internet to the public on a pay-as-you-go model. In other words, if you, as a small business, require cloud computing services, you can partner with a cloud service provider that will be responsible for the set up, upkeep and management of the data center and services for you, freeing you from having to purchase, manage and maintain all the infrastructure yourself. As you can gather, most companies who favour a public cloud do so to save deployment time and management complexities. Unlike the popular opinion of public cloud services, security breaches are in fact quite rare. Who are the top Cloud providers in the industry right now? All 3 offer a 1 year free trial of services. Other notable providers include OpenStack, IBM, Oracle and Cisco. Unlike a public cloud which is available over the internet, services through a private cloud will be made available only behind a firewall to your employees. You can think of it as a highly virtualized cloud data centre provisioned inside a company’s firewall that you can control and customize to fit your needs. Exclusivity is the defining characteristic of the Private Cloud set-up. The services are for the dedicated use of a single organisation. As you can guess, however, this model will need to be managed with your own internal resources. Servers, storage and related infrastructure will be owned and paid for by your organisation. How do you benefit with a Private Cloud? ◈ Private Clouds are best suited for organisations that have unpredictable computing needs such as government and security organisations. Private Clouds are preferred for their robust security and greater flexibility compared to a public cloud set-up. ◈ Since you have the infrastructure, you have greater control than in a public cloud and can control how you deploy applications on the infrastructure. WordPress Hosting is, in most cases the ideal hosting for WP websites. Not only does it provide great performance owing to the fact that it is configured to be highly compatible with WordPress, but it also provides a range of WordPress management features. This makes it very easy for website owners to manage and maintain the website without having to allocate additional resources to do the same. Although different hosting providers provide different features, we will talk about the benefits of WordPress Hosting. ◈ Enhances the performance of WP websites. ◈ WordPress is pre-installed to provide a plug and play environment for developers. ◈ Automatic WordPress updates to keep you up to date all the time. ◈ Cloud-based hosting infrastructure that provides a high level of scalability. ◈ Automated backups using CodeGuard. ◈ Daily malware scanning and security with SiteLock. ◈ Managed services that take-up WordPress maintenance. To get a better understanding of the benefits of WP Hosting, let’s look at them individually in detail. Every software will have its own system requirements that determine how efficiently the software will function. With that in mind, even WordPress as a software has its ideal system requirements. WordPress Hosting ensures that the hardware, firmware, and software configuration is highly compatible so that it runs efficiently. Having a system that is compatible ensures that you do not run into performance issues and system freezes. If the system does not function properly, the hosted website may crash, or temporarily be out of service which will have serious implications on the website’s authority and visitor’s experience. Developers who take up WordPress projects regularly would love this feature. With WordPress pre-installed, you have no need to spend time downloading and installing the CMS on the server. You just purchase the plan and begin developing the website. This saves a lot of time and you never have to worry about compatibility issues. Another important benefit for WordPress Hosting is automatic WordPress updates. Every update that is released comes with a bunch of improvements and bug fixes. If your instance of WordPress hosting is not up-to-date, not only will you lose out on these essential improvements and bug fixes, but also become more susceptible to external security threats. The automatic update feature of WP Hosting ensures that you are covered on this front.At times, the website you are hosting is not compatible with newer versions of WordPress. Although this scenario is very rare, it still persists. In such cases, turning off automatic updates is just a switch flip away. One of the biggest benefits of WordPress Hosting plans is that the hosting is Cloud-Based. 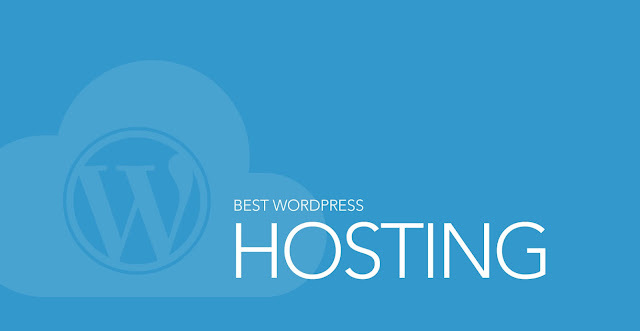 Which means the advantages of Cloud Hosting are cascaded to the WordPress Hosting. These advantages include scalability at the click of a button and a high level of reliability as there is no single point of failure. Moreover, we integrate Varnish Cache within this Cloud-based environment that has the potential to increase your website’s speed by 1000%. Our WordPress hosting packages provide the option to include premium website security and backup tools. One of them being CodeGuard, which automatically takes website backup periodically so that you have enough restore points in case of a disaster. The other tool that our WP Hosting contains is SiteLock. This software regularly monitors the website for malware and security threats and notifies you to take necessary action. SiteLock can also be configured in order to deal with security threats automatically in case of an encounter. Plugins form a very strong base for WordPress development. Any task or functionality that you can imagine can be made possible with plugins. Our WP Hosting plans integrate certain essential plugins such as Jetpack plugin. This plugin can be used for a variety of functions including provisioning of WordPress themes, lazy loading, marketing services such as analytics, automated social media and SEO tools, Payment gateway integrations and high-end security for your website. Another very useful advantage is the inclusion of managed services. What this means is that the WP Hosting team takes care of dealing with all your website maintenance tasks. Without managed services, you as the website owner are responsible for taking care of the WordPress maintenance which requires resources.Managed services include a barrage of activities like scalability of hosting resources such as CPU, RAM and storage space. As your website grows, you will need more hosting resources to handle the incoming traffic load. This can be easily done by the managed team without you having to worry about the specifics. Another example of managed services is the optimization of the WP Database. The WP Database holds all the important information of your website such as pages, posts, form entries, cookies, plugin settings, theme settings etc. As your website grows, this database becomes bulky. Bulky WP databases are usually slow and need to be optimized so that they do not affect the overall speed of the website. The managed hosting team takes care of this on their own without you having to intervene.